Fiesta Especial® T-Shirts in a variety of sizes and colors. • The selection process for the Fiesta Especial Royal Court gives organizations that serve children or adults with disabilities a chance to raise money and visibility for their mission while supporting an official Fiesta event for people of all ages and abilities. Members of the Royal Court will represent Fiesta Especial and your organization at official Fiesta events during February, March and April in 2013. • The King and Queen, Dukes and Duchesses, Prince and Princess and Pages for Fiesta Especial will be determined by the total number of votes (dollars raised) they receive by January 11, 2013. The organization that raises the most money will have their candidates crowned as Fiesta Especial King and Queen or Prince and Princess at a coronation ceremony on February 16, 2013. Organizations that raise the 2nd and 3rd highest amounts in each age category will have their candidates selected as Fiesta Especial Dukes, Duchesses and Pages. Each organization may submit one nomination for either 1. King & Queen (ages 16 and up) or 2. Prince & Princess (ages 15 and under), not both age categories. • All participating nonprofits receive 50% of the total they raise and may have their candidates represent their organization in the Fiesta Especial Parade on Saturday, April 20th. For-profit organizations serving children and adults with disabilities may participate by designating their 50% of the proceeds to a nonprofit organization that serves people with disabilities. • All nominations must be submitted through an organization that serves children or adults with disabilities. The Fiesta Especial Promenade and Parade will take place on Saturday, April 21st at 9am. Starting from Fourwinds Drive, heading to City Hall and back down along Windsor Hill for a 2.5 mile display of Fiesta Spirit. _Runners, Walkers, and many organizations will put on their best Fiesta garb and parade the streets of Windcrest bringing the sights and sounds of Fiesta to everyone. 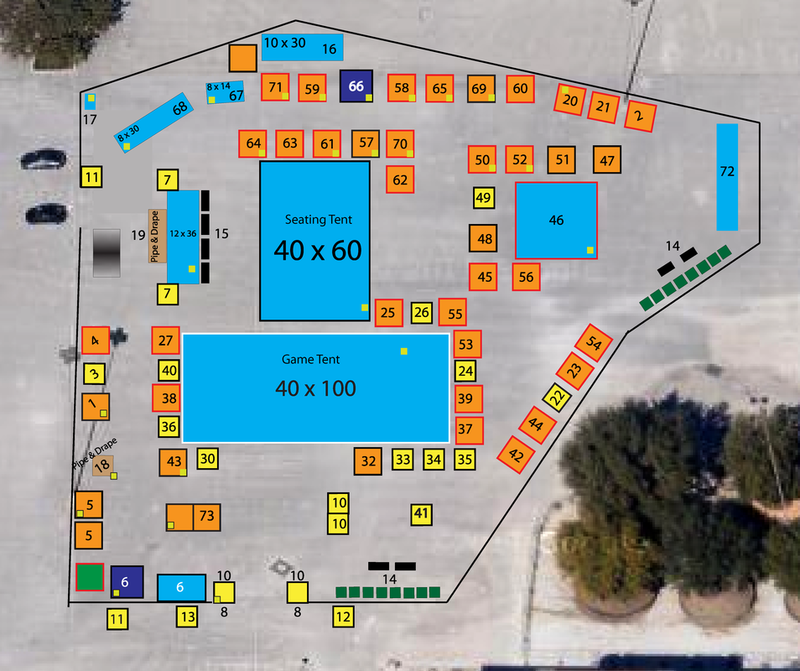 The parade will lead directly back toward the Rackspace parking lot where everyone can join the SA special-needs community for a family-friendly Fiesta experience for people of all ages and abilities. J’nine was born on Jan 13, 1986, severely premature. She weighed just 1 pound and 7 ounces. Complications after birth were enormous…doctors gave her a 50% chance that she’d ever be able to walk or talk. She proved them wrong! Now 26, J’nine has been active in Special Olympics sports for 16 years. _She participates in softball, basketball, track, and bowling and has won numerous medals over the years. 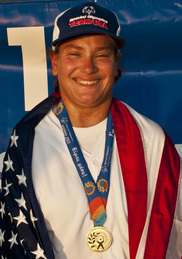 Her co-ed softball team was selected to represent the United States during the Special Olympic World Games in Athens, Greece, in July 2011. Her team went undefeated by beating Greece, Canada, and Russia (twice) to earn the gold medal! Although currently unemployed, J’nine has work for McDonald’s and has been a volunteer special education aide for Judson ISD for the past 5 years. She enjoys driving her car on shopping trips and taking care of her dog “Megan.” She loves music, computer games, and love watching sports…especially her San Antonio Spurs! A total of $22,230.16 in support of programs for individuals with disabilities as these 14 individuals, ages 4-28, secured their “votes” to serve on the Fiesta Especial® Royal Court. “We’re breaking new ground for inclusion in the community… it’s a very important step in a wonderful direction.” says Melanie Cawthon, lead planning coordinator for the Fiesta Especial® and Director of Marketing and Resource Development for Reaching Maximum Independence, Inc.
After competing with nine accomplished contestants from across the state, San Antonio resident, Mariah Rose Kilbourne was crowned Ms. Wheelchair Texas 2012 during the Ms. 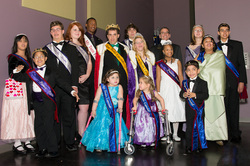 Wheelchair Texas Foundation’s annual pageant competition on March 24, 2012. Mariah wants to use her year as Ms. Wheelchair Texas to encourage inclusion in many ways – from work to play! Though cliché to say that “world peace” is the ultimate goal for most pageant contestants, Mariah would say that my ultimate purpose is to create a peaceful world for people of all abilities so that they may be included, respected, and valued as active participants in their communities and society at large - without any limits or barriers. The Ms. Wheelchair Texas Foundation, a not-for-profit 501© (3) organization strives to improve the lives of people with disabilities through its mission of advocacy and education. From 281 & 1604: Take 281 South and heat east onto Loop 410. Take the I-35 South ramp and Exit Walzem. Turn left under I-35 and Rackspace Hosting will be on your right. From 35 North: Take I-35 South toward San Antonio and exit Walzem. Turn left under I-35 and Rackspace Hosting will be on your right. From IH-10 & 1604: Take IH-10 East (toward San Antonio. Take the 35-North exit. Exit Walzem and take a right. Rackspace will be on your right. From I-37 & Loop 410: Take I-37 North (it will become 281 N). Take the I-35 North ramp. Exit Walzem and take a right. Rackspace will be on your right. For community partners who helped facilitate the logistics for Fiesta Especial 2012. Multiple responses from each partner by different individuals are accepted. Yes, count us in. Not at this time.